In K-1B we make magic happen everyday. 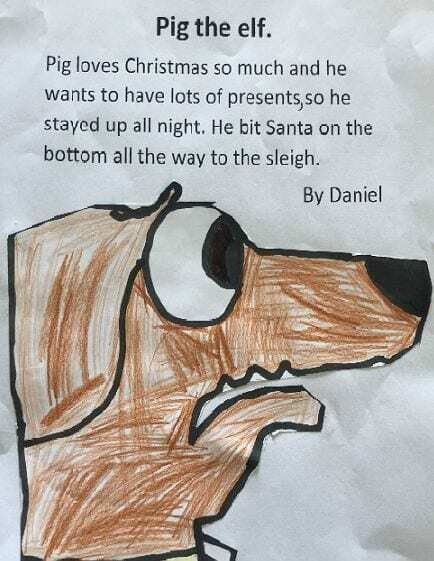 Students have worked extremely hard throughout this semester and should be very proud of their achievements. 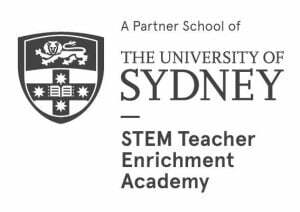 We are looking forward to end of year activities and loved sharing our presentation at assembly on Thursday 6th of December. My Movie K1B from Belinda Leeson on Vimeo. 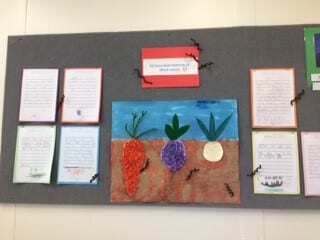 5M have been learning about Australia in the early 1900’s. 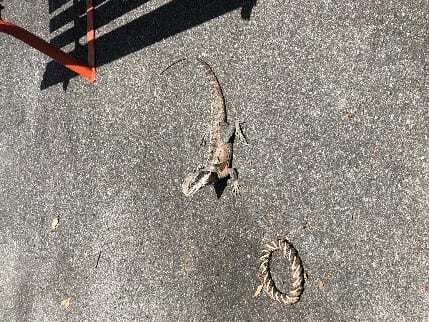 Did you know that the Bubonic reached Sydney in 1900? 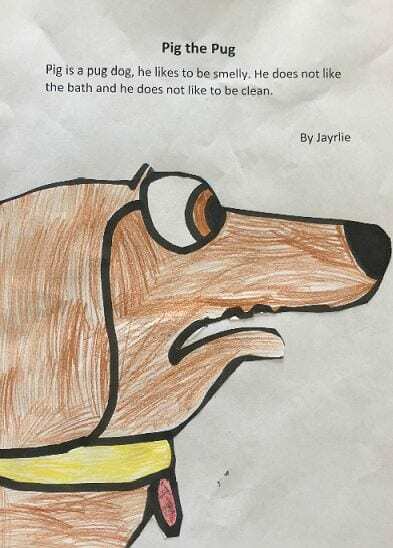 We have researched the disease and discovered how it was spread and its’ symptoms. 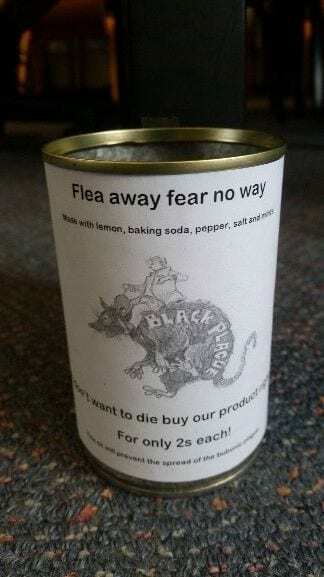 We then posed the problem how could we prevent the spread of the Bubonic Plague? 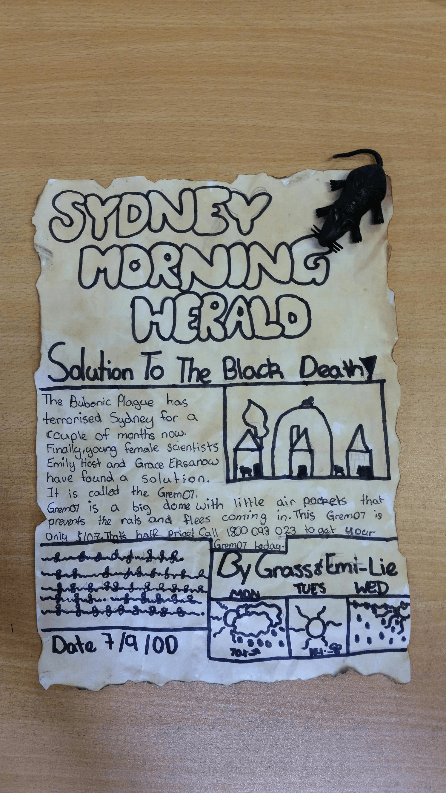 5M then designed and made a prevention strategy to protect the people living in Sydney during 1900. 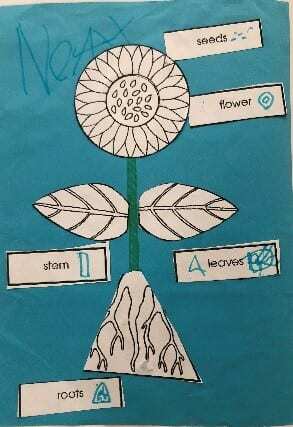 Here are a few of their designs. 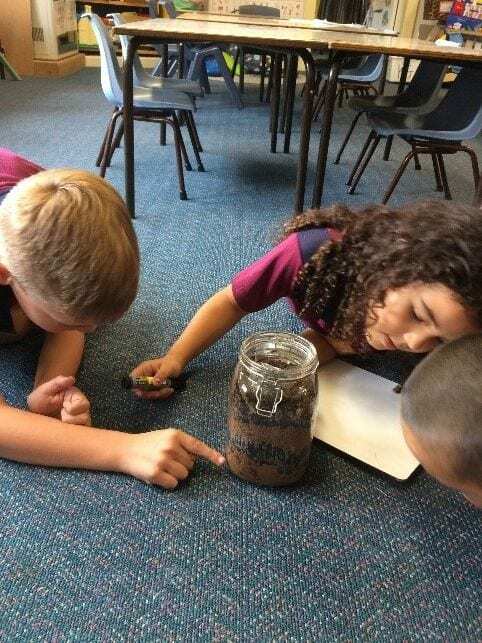 Year 2 spent Term 3 working very hard on solving a very real and very big problem….OIL SPILLS! 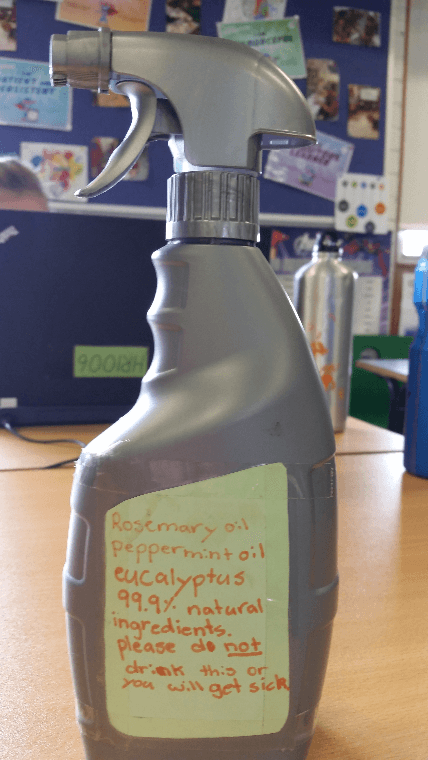 Year 2 teachers and students researched some past oil spills that have created horrendous damage to the environment and cost millions of dollars. 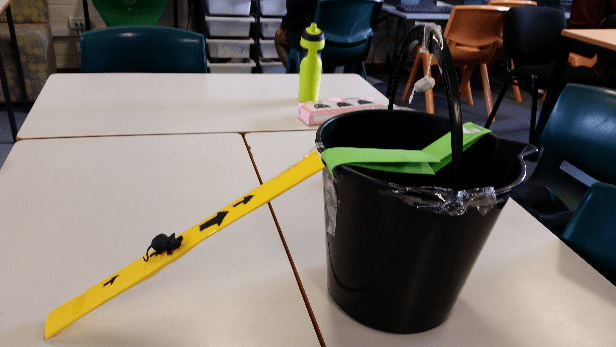 They wanted to try and come up with a solution to this problem by learning more about materials and working together in teams to design and create a contraption that could help. 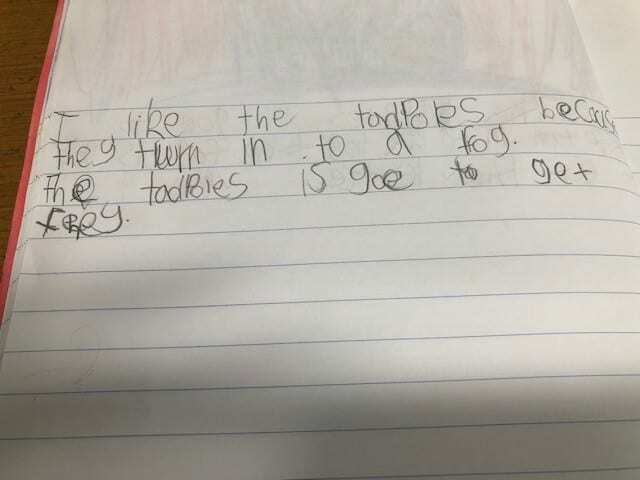 Take a learning at their awesome learning journey! Material World from Belinda Leeson on Vimeo. 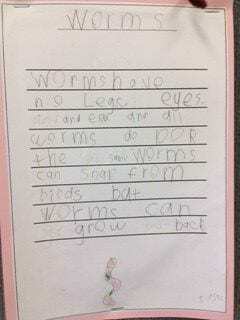 This term KG have been learning all about worms! 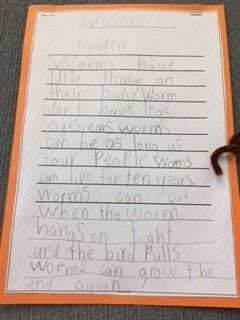 Students have discovered many new and interesting facts about worms, including how important worms are for a healthy garden. 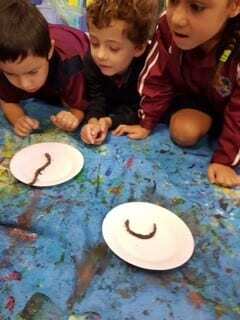 We’ve had our very own wormery in the classroom to observe earthworms and how they make their burrows and feed on dead leaves. We’ve also been collecting our fruit scraps and feeding them to the worms in the worm farms in the sustainability garden. 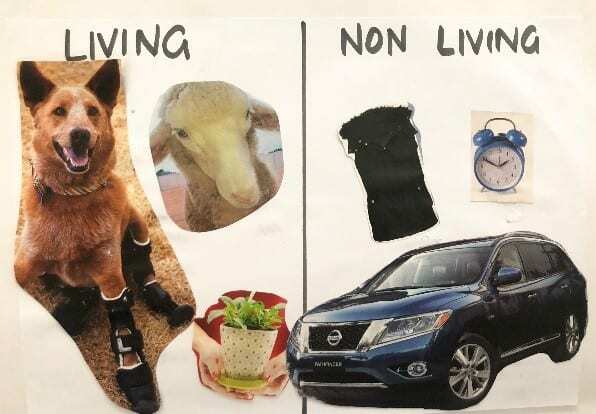 This term our two classes have been learning about living and non-living things. 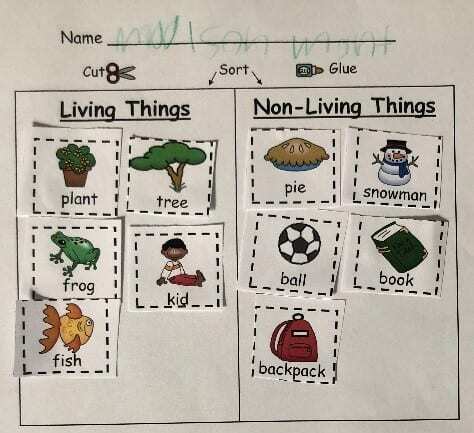 We know that a living thing must have certain characteristics such as be able to breathe, move, grow, reproduce and adapt to its environment to survive! 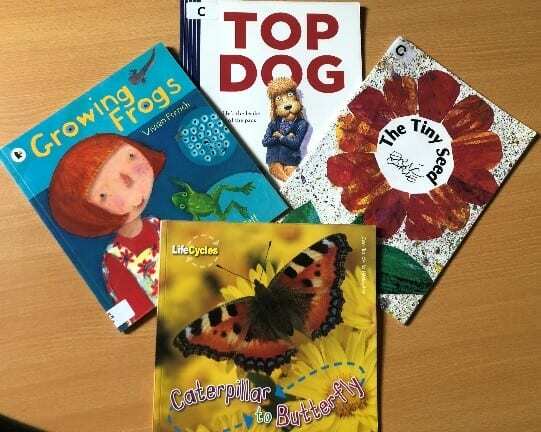 We have read some wonderful books from the library including The Tiny Seed, The Very Hungry Caterpillar, The Magic School Bus- Inside A Beehive, Top Dog, Counting on Frank and Grow Frog Grow to name a few. 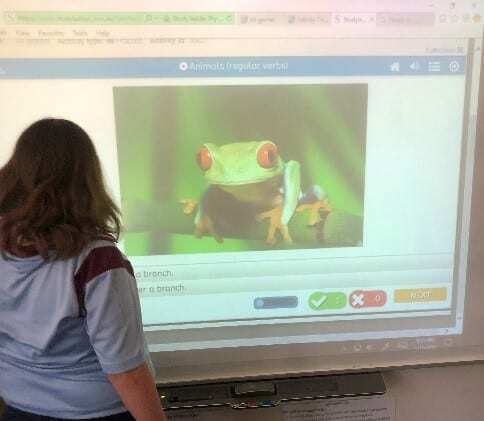 We have completed literacy and numeracy activities based on living things on the SmartBoard and in our workbooks. 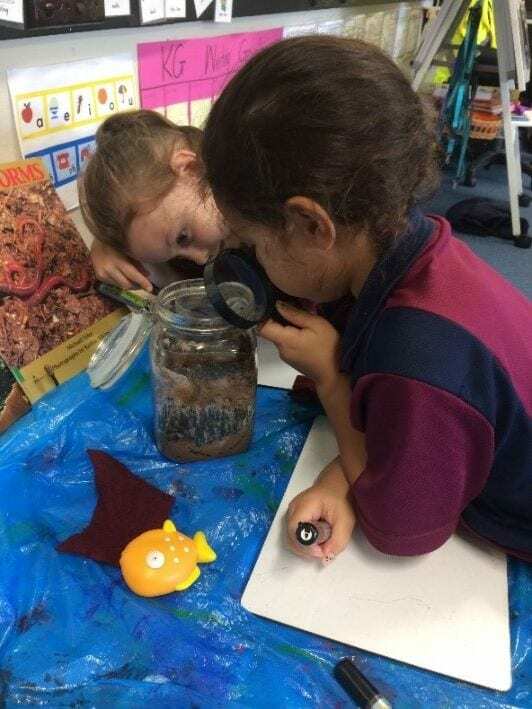 We were excited to go on a living things hunt around the school (where we found a water dragon and lots of wonderful plants in the playground), and we also planted some seeds in jars in our classroom to watch them grow. 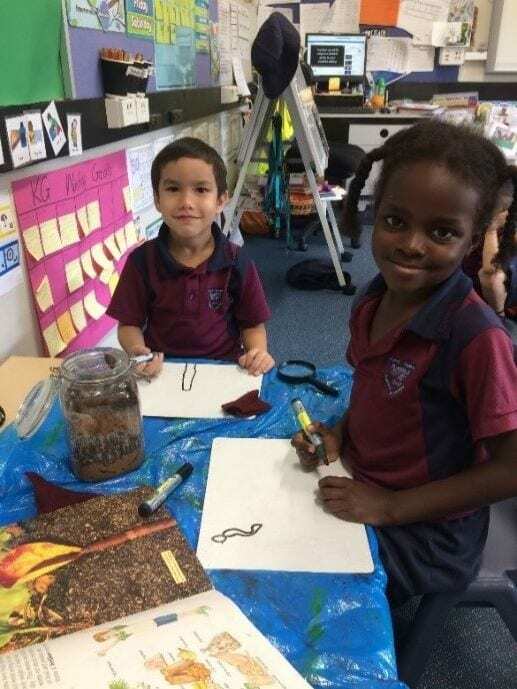 We enjoyed making a variety of artworks based on living creatures such as lady beetles, crabs, grasshoppers, spiders, frogs and bees. KW have been lucky enough to have some very special visitors to our class. 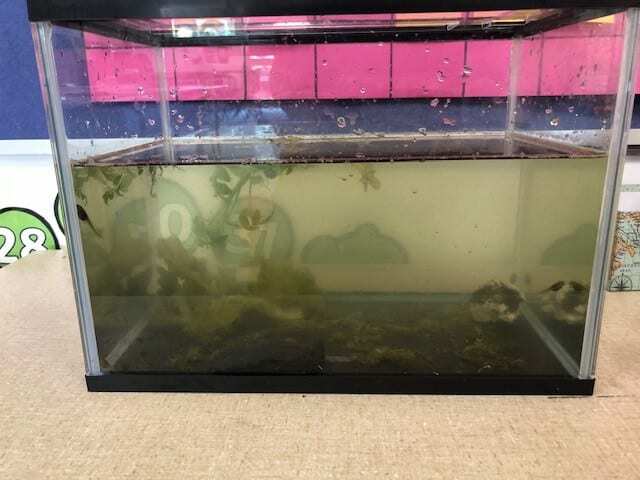 We have three different species of tadpoles in a tank in our classroom. 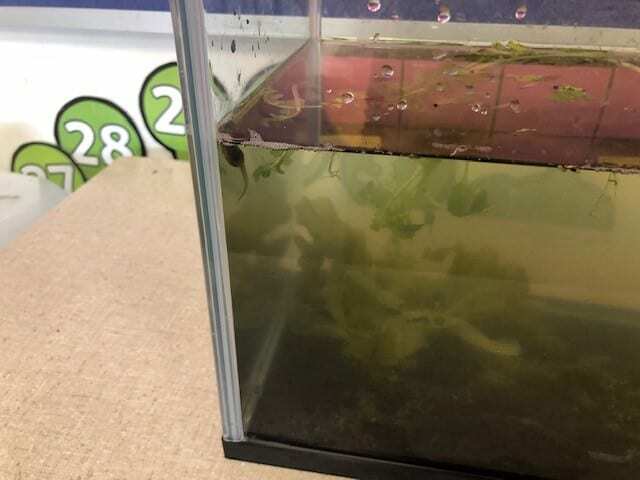 We have been learning about the changes that we might see as the tadpoles grow and develop. They have already grown so much and we are on the lookout for some legs in the coming weeks. 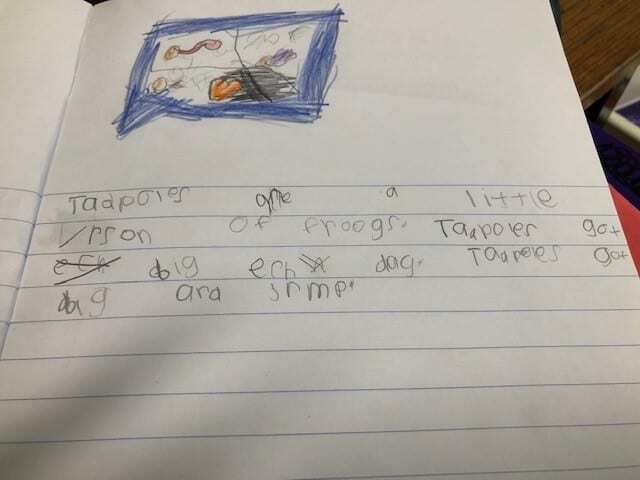 We are excited to see our tadpoles change into froglets and then into frogs. 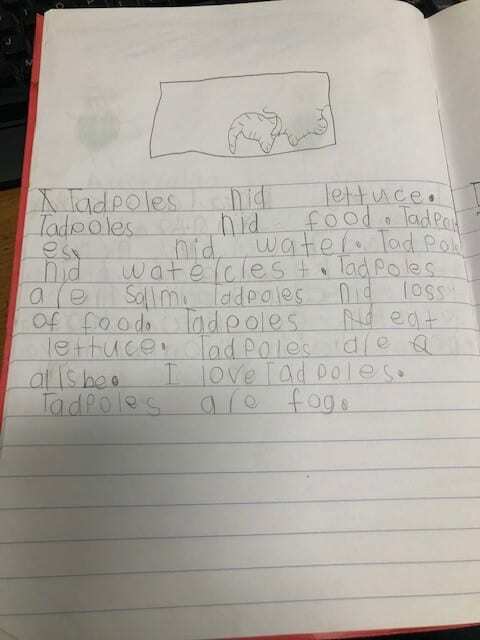 Here are some pictures of our tank and some writing we have completed about tadpoles. 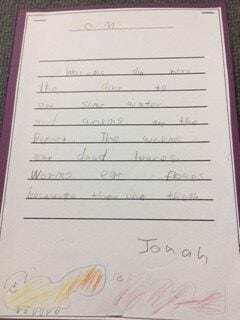 In our literacy session, 3/6JF have been engaging in an author study. 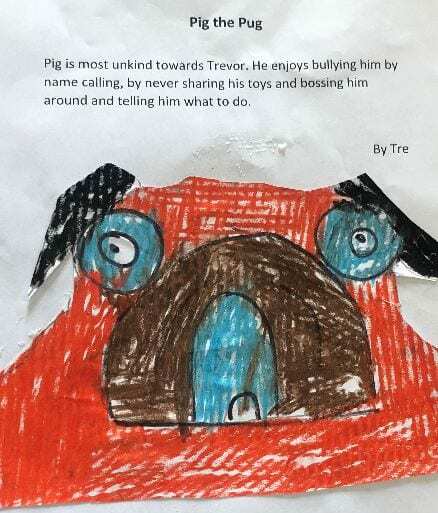 As a class, we been reading a series of texts about a dog called ‘Pig’ and his friend ‘Trevor’ by Nick Bland. 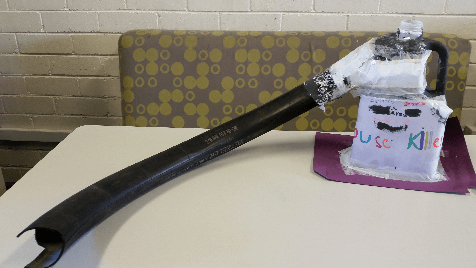 Here are some student’s examples of some of the fabulous work we have created this term during this session. We celebrated Grandparents Day at CHPS by inviting grandparents and parents to enjoy an special assembly where they could see a variety of wonderful performances.They were also able to visit their grandchildren in their classrooms and see all the fun and engaging learning that has been happening at CHPS. 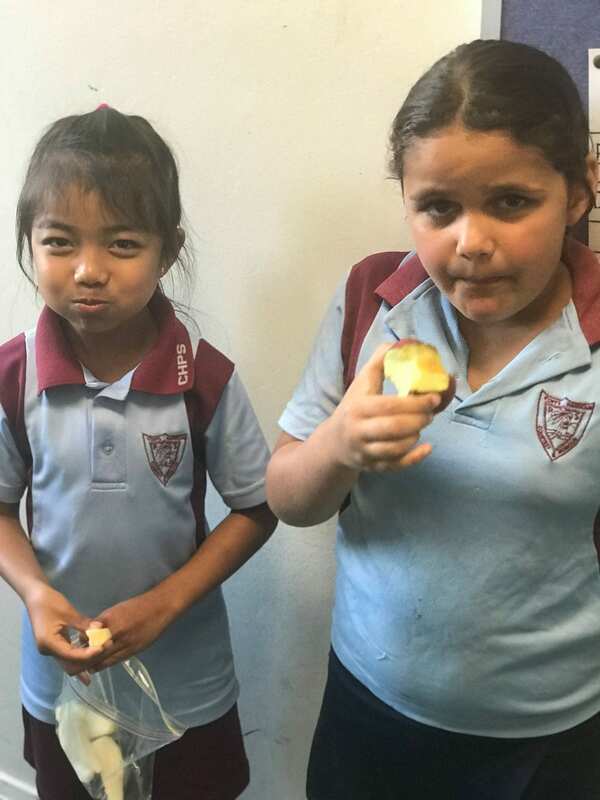 Visitors were able to buy produce grown from our very own sustainability garden which is thriving with all the recent rain as well as enjoy a shared morning tea. Thank you to all our visitors for attending our Grandparents Day celebration. 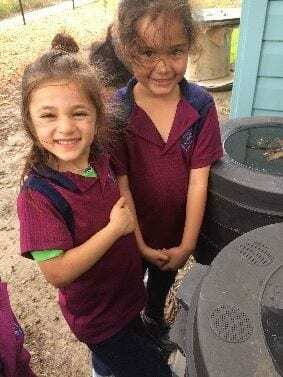 It was lovely to see so many smiling faces enjoy what our school has to offer! 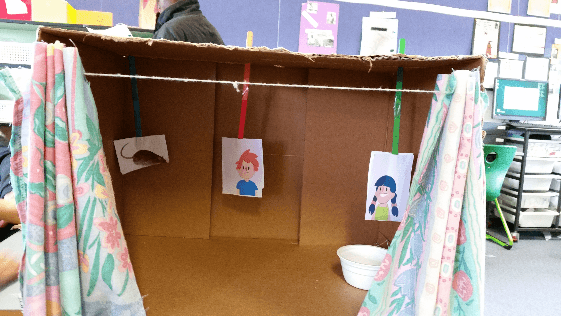 Grandparents Day 2018 from Belinda Leeson on Vimeo. It is Fruit and Veg month and Coffs Harbour Public School is celebrating! 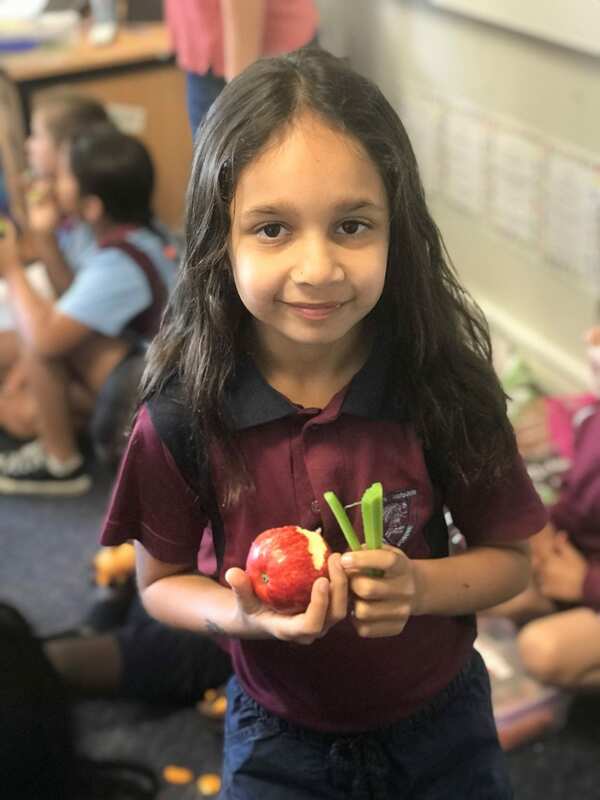 We are a proud Crunch & Sip school and are always encouraging our students to bring crunchy fruit and veg to school everyday, as well as drinking lots of water. 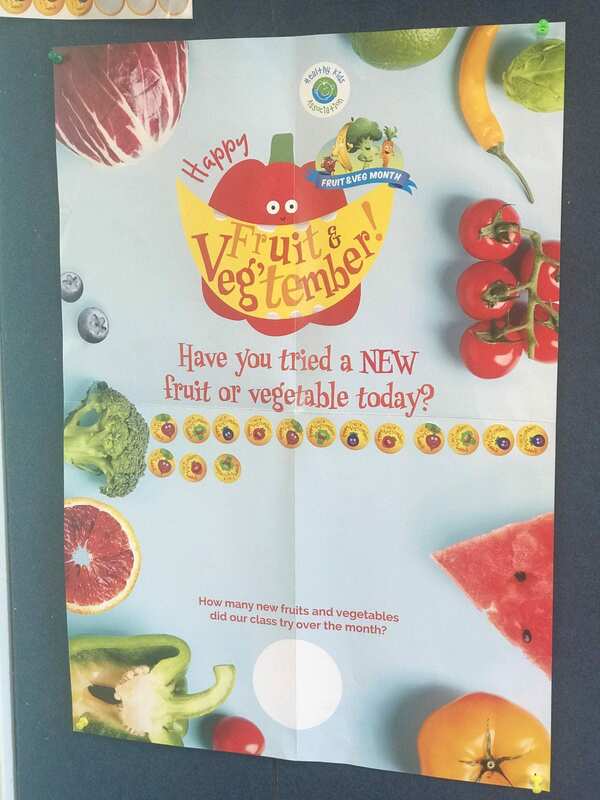 We are especially excited to be celebrating Fruit and Veg’tember to as students will be involved in various classroom and school based activities which encourage them to eat more fruit and vegetables. 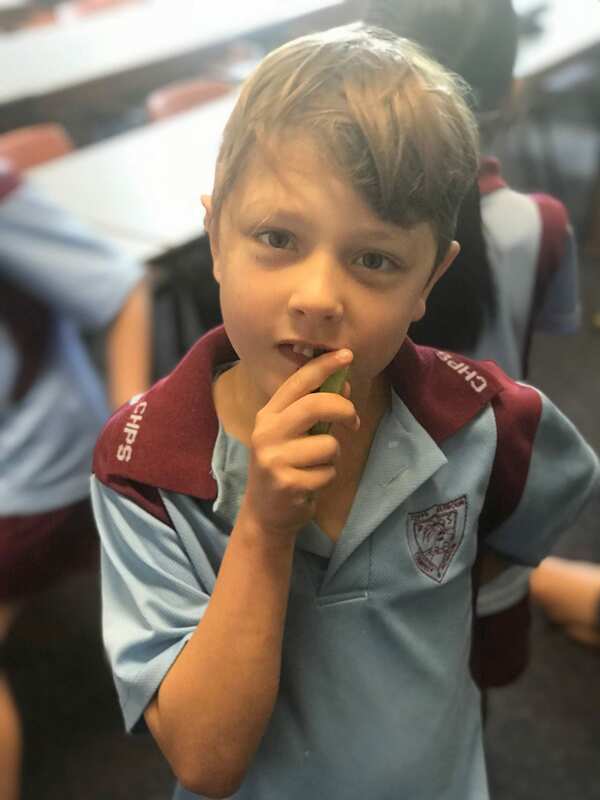 Year 2 (pics below) have been lucky enough to try a lot of different vegetable over the couple of week and some familiar ones that they hadn’t tried raw before. 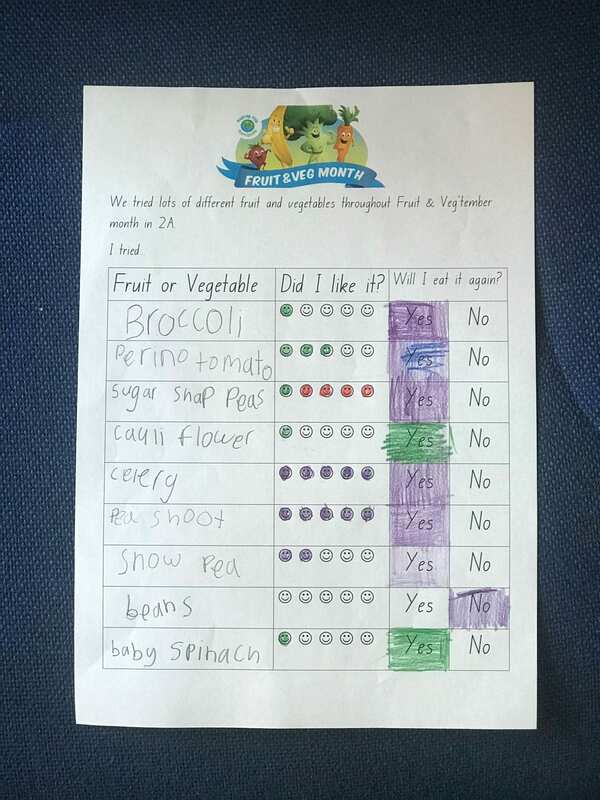 Healthy Kids Association has provided teachers with lots of resources to help support the implementation of Fruit and Veg’tember on their wonderful website https://healthy-kids.com.au/. Please visit the website as they have so many resources including news and advice, healthy recipes, information for parents and children based around promoting and influencing healthy food choices for children!